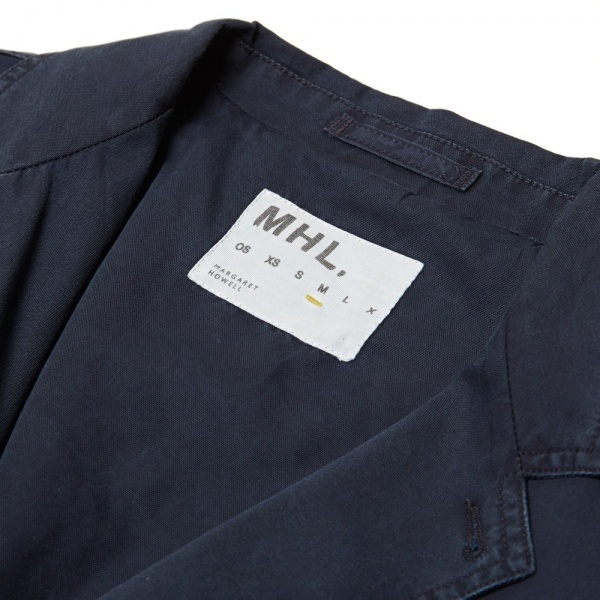 Established by iconic British designer Margaret Howell, MHL explores the tailoring, structure and functionality inherent in menswear design. The Work blazer takes style cues from authentic workwear and successfully creates a sense of luxury without becoming gaudy, partly achieved thanks to the pigment dyed fabric it is cut from. Closed with two horn buttons, this restrained and utilitarian design is finished with a slim notched lapel. Available now at End. 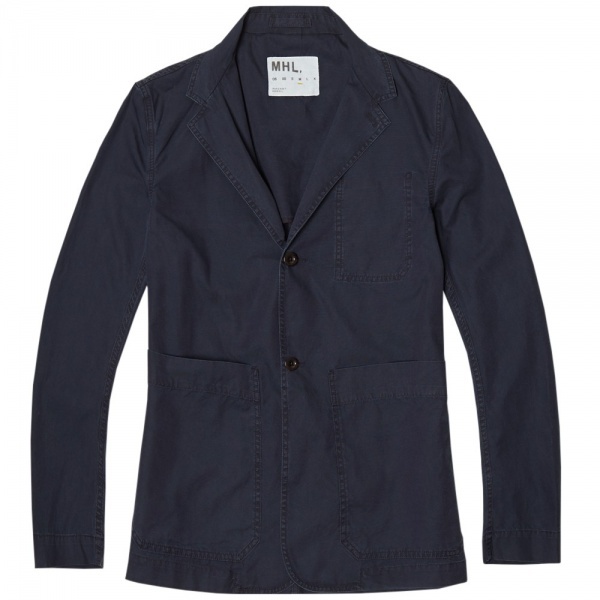 This entry was posted in Blazers, Tops and tagged blazer, Horn Button, Margaret Howell, MHL. Bookmark the permalink.